Whitetail Ski Resort, located in Mercersberg, Pennsylvania, is just over a decade old. It is situated at 1,800 feet on Two Top Mountain in south-central Pennsylvania's Tuscarora Mountain range, just 90 minutes from Washington D.C. and Baltimore. With a vertical drop of 935 feet, it offers skiing for everyone from beginners to experts, and also hosts several winter activities for the non-skiers. Night skiing is available until 10 p.m. every day, and it also boasts the longest half pipe in the Mid-Atlantic region. 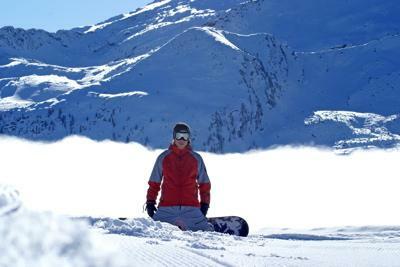 This is a spot for serious snowboarders. 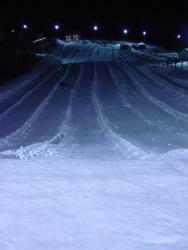 Whitetail ski resort offers one of the most unique snow tubing experiences in the country. Newly improved in the 2007-08 season, the resort added a new private party area and fully renovated its Kiddie Tubing area, as well as its webcam equipment. Whether you want to snowtube as a group or alone, it is an excellent way to spend the day if your legs are tired from skiing, or if there is someone in the family who doesn't like to sashay down the slopes. If you are looking for a new and different idea for a birthday, Whitetail offers a package that includes two hours of tubing and a one hour pizza party, complete with pizza, chips, ice cream, and drinks, in the private party room. The price is reasonable and the smiles are worth every penny. While the skiing is fantastic and the activities endless, Whitetail ski resort also has some excellent amenities to make your vacation that much more special. From fine dining to a slope side lodge, they have everything you need within reach, so there is more time to kick back and relax. This is the best place for fresh, fast food on the mountain when you are coming in from the cold and ready for a quick meal to fuel up for a few more runs. Open daily 8 a.m. to 10 p.m., seven days a week. Look no further for a slope-side dining restaurant with a little something to please everyone in the family--Swiss burgers, cheese steaks, quesadillas and gourmet grilled cheese sandwiches. End the evening with coffee and delectable desserts. Although Whitetail is known for its winter sports and excellent skiing, during spring, summer and fall, it is a different kind of playground. This stunning course is one of the premier championship public golf courses in South Central Pennsylvania. With a distinctive layout and mountainous terrain, it is challenging for beginners and seasoned players alike. 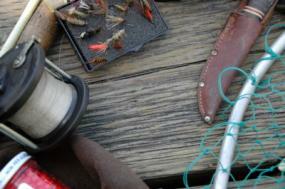 In the heart of Southern Pennsylvania's Cumberland Valley, Dusty Wissmath's Fly Fishing School & Guide Service specializes in highly personalized instruction and guiding on some of the best trout streams in the Mid-Atlantic.